Recognized as one of the most biologically diverse ecosystems on earth, longleaf pine forests once totaled more than 90 million acres and extended from Southern Virginia to Central Florida and East Texas. Less than 4 million acres exist today. In 2005, America’s Longleaf Restoration Initiative was formed to support a restoration approach across public and private lands. It includes USDA’s Natural Resources Conservation Service and partners including the National Fish and Wildlife Foundation, Longleaf Alliance, The Nature Conservancy, US Department of Defense, US Forest Service, and US Fish and Wildlife. 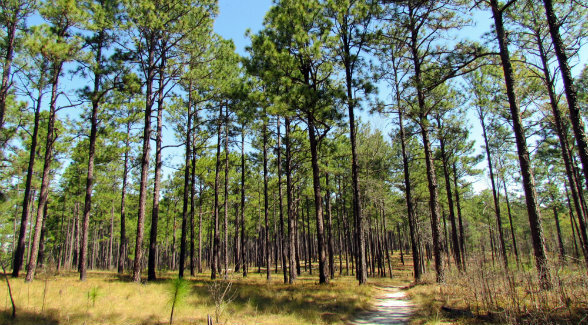 The goal is to increase longleaf pine forests on public and private lands to 8 million acres by 2025.